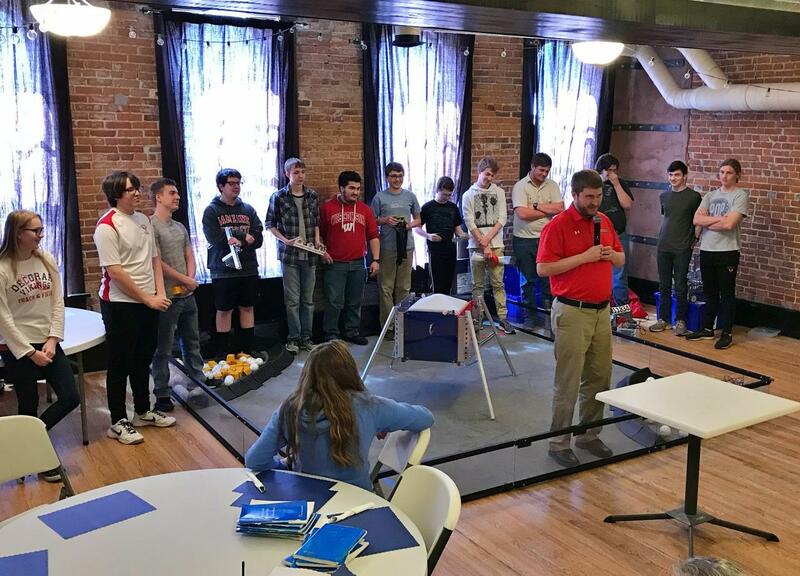 The DRC was thrilled to host students from the Decorah High School (DHS) Robotics Club, along with their faculty sponsor Brett Wilker, at our regular meeting on April 23rd. Each of the students spoke in turn about the design, construction, and operation of their robots followed by a live demonstration that recreated the scenario challenge from this year's FIRST Tech Challenge competition. Teams comprising students from 7th – 12th grade are given an obstacle course scenario and, based on that scenario, the teams design, build and program robots to compete with teams from other schools. This year’s scenario is Rover Ruckus, which takes its inspiration from the 50th anniversary of the Apollo moon landing. The playing field includes two fake moon craters, moon “minerals” and a moon lander, and the teams are able to score points through the completion of a variety of tasks. The DHS teams have been extremely successful this year, having qualified for the Super Qualifier Event in Sioux City. 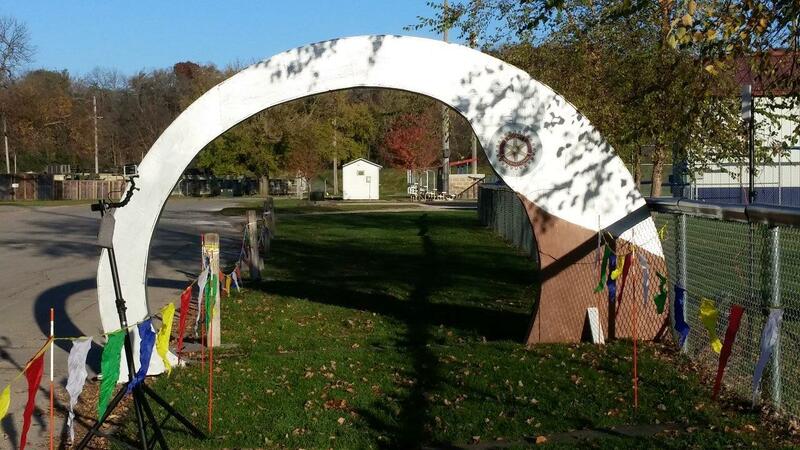 Registration for the 2019 Decorah Rotary Club's Loop de Loop Half-Marathon and 10K/5K is now open and available. This event is scheduled for Saturday, September 21, 2019. It will be the 8th annual edition of this popular run. Please see the drop-down menu in the upper-right corner of our home page for links to the registration information. See you on the gorgeous Trout Run Trail in September! 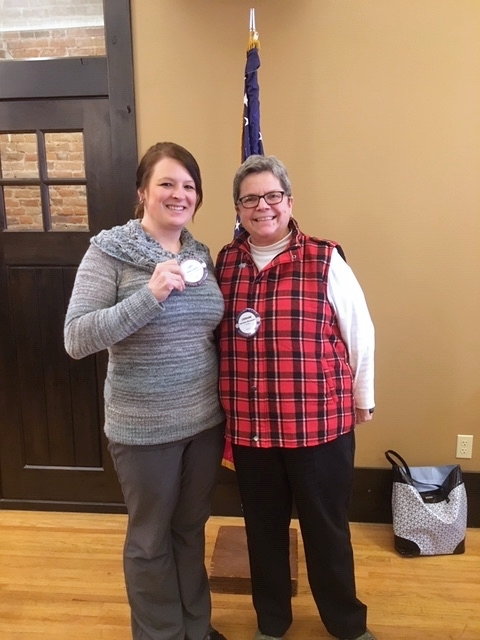 The Decorah Rotary Club was pleased to host Mike and Angela LaBelle from the Decorah branch of Kadens Kloset during its regular meeting on Tuesday, November 27th. 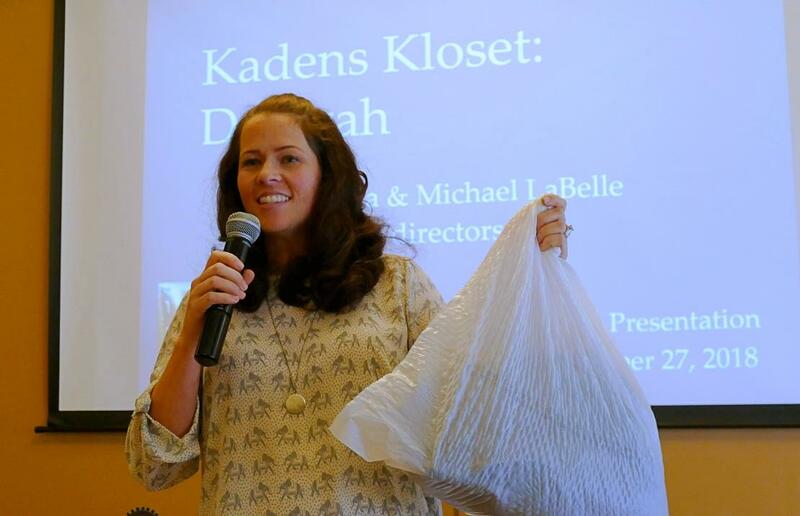 Kadens Kloset is a 100% volunteer and donation-run, non-profit organization hosted by the local Decorah Covenant Church. It exists to provide tangible necessities for foster and adoptive children, plus families and children in need in the area. 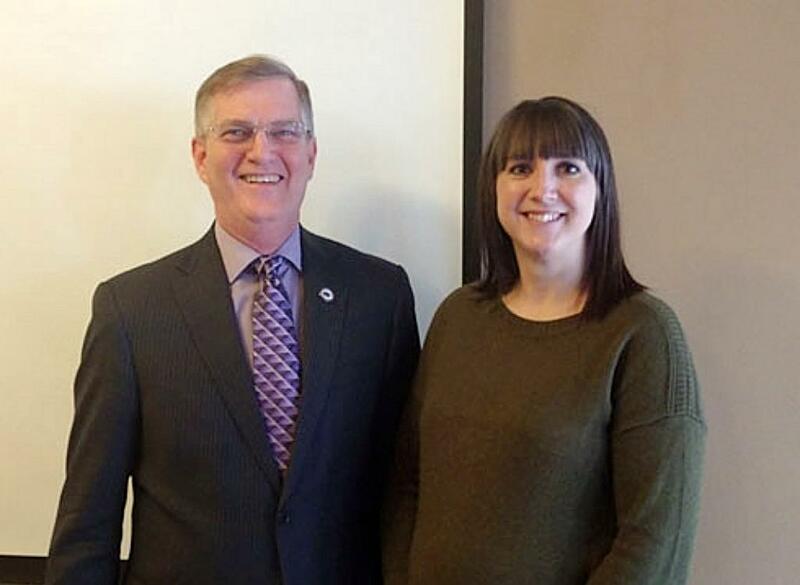 Mike and Angela discussed the positive impact the local organization has had in the few short months it has been up and running and itemized the avenues of support available to the local community. For more about Kadens Kloset visit the organization's website at www.kadenskloset.com. 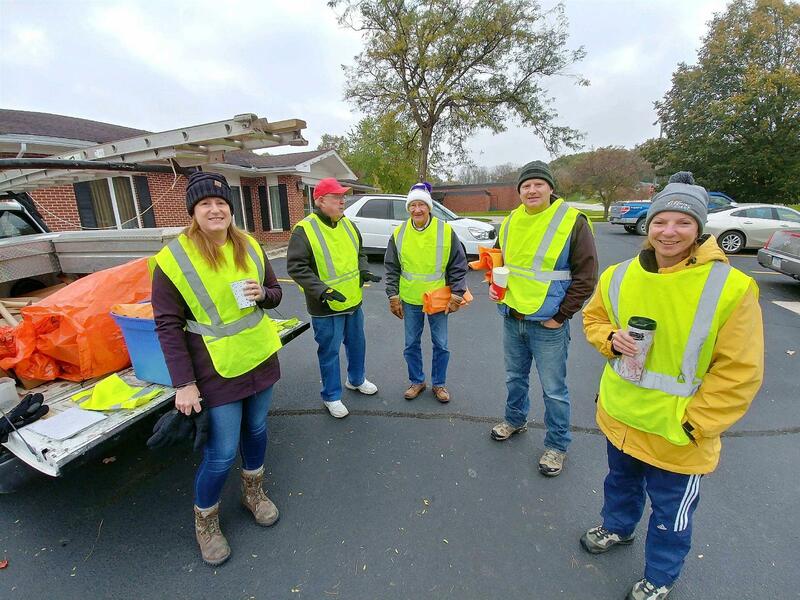 Our club managed to find the best weather day in many weeks for the final Rotary Roadside Clean-Up Day of 2018 held on Saturday, October 13. Thanks to all of the superb volunteers who shared their spirit of service and dedicated time to help keep Decorah beautiful: John Baker, Jacky Budweg, Ward Budweg, Matt Burkey, Elliot Christen, Shannon Duncan, Roger Huinker, Jim Morrow, Paul Scott, Jason Soland, and Jeff Tomlinson. Special thanks to Ward for his leadership in organizing this event and taking care of the logistics. 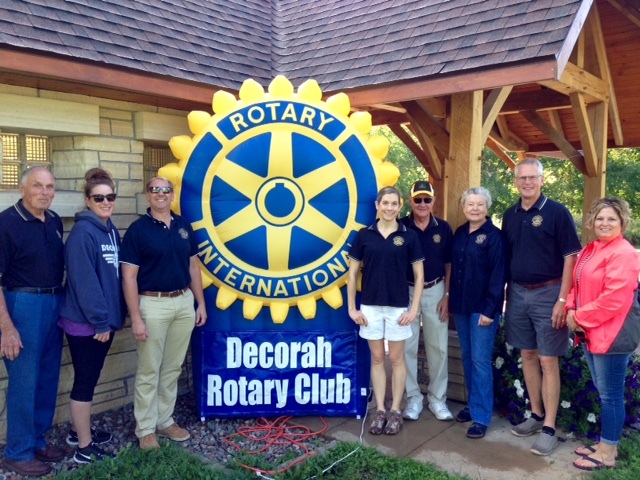 On behalf of the Decorah Rotary Loop de Loop team, thank you for participating in this year’s 7th annual event. If you were a visitor to town, we hope you enjoyed your time in Decorah. It turned out to be a chilly but beautiful morning to be out on the trail. Every year the Decorah Rotary Club uses a portion of the proceeds of the race to benefit the Trout Run Trail system in some way. It may be needed repairs, new benches, landscaping or other amenities. The remaining proceeds are used for local and international Rotary programs and activities such as local scholarships and internationally fighting Polio. Thank you for supporting these efforts. The 2018 complete race results and finisher's videos may be found on this link. A year-end participant’s survey may be found on this link: https://docs.google.com/forms/d/1SZTjHZkp8RSNQdBGimKDT-KWtIfdiA2kzV6CzKE2kzA. Please take a moment to let us know what you thought about the race and your time in Decorah. The committee will be looking at ways to re-energize the event in 2019, so we value your input! Thank you very much for supporting our event! 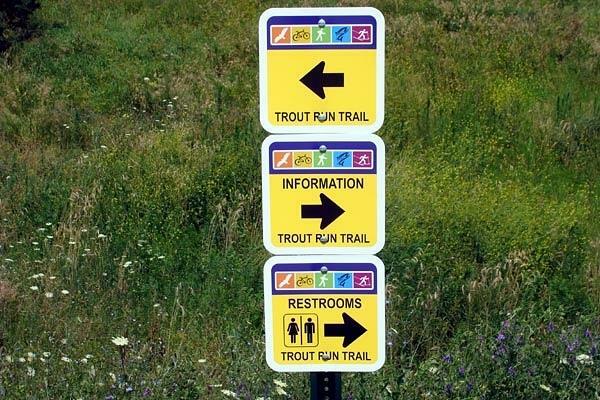 "Thank you so much for providing the trail signs on the Trout Trail loop around Decorah. While the loop is easy to follow, it was always good to have the assurance that we were on the right path by following the easy to read signs." Thanks to Carol and Lyle for the feedback! The Decorah Rotary Club continued its traditional involvement during Nordic Fest 2018, hosted in Decorah on July 26-28, along with a brand new service opportunity this year. 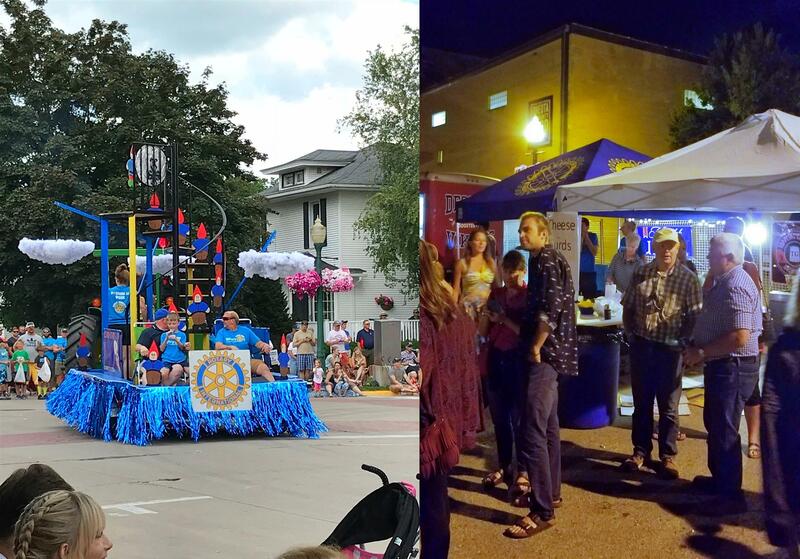 The Rotary brand received lots of attention as a result of our parade float "Stairway to Lefse," considered by many independent observers to be the most awe-inspiring float in the entire parade. Also, for the first time, our members served made-to-order cheese curds Friday and Saturday evening at Canopy Five adjacent to the main entertainment stage, using equipment provided by Homestead Dairy in Waukon. The fresh, hot curds were clearly popular with the crowds attending the musical events! Our Club owes a huge debt of gratitude to DRC members Shannon Duncan and Ward Budweg for their leadership and tireless efforts in bringing both of these Nordic Fest volunteer opportunities to fruition. We thank all of our members and friends who contributed to the construction and operation of the float, including Ward, Shannon, John Anderson, Cal Anderson, Kurt DeVore, Alan Lerstrom, Sandy Evans, Francis Peterson, Kelly Reagan, and Jeff Tomlinson, with particular thanks to Alan for his design inspiration and guidance. Thanks also to all of the Cheese Curd Booth set-up/operation/take down volunteers: Ward, Shannon, John, Kurt, Alan, and Jeff (again! ); Matt Burkey, Don Holmerz, Phil Iversen, Gary Mineart, John Moeller, Jim Morrow, Kathleen Ritner, Rod Ritner, Ron Snell, and Heidi Snell. A special appreciative nod to Ron and Phil for loading and returning the equipment to Homestead Dairy. Thanks again to our members for their cheerful and dedicated service! DRC was honored to host Chuck Long, former Iowa Hawkeye quarterback standout and one of the most renowned players in the history of the University of Iowa football program, at its regular meeting on June 19th. Our members and guests thoroughly enjoyed his recounting of the most memorable events and experiences from his stellar Iowa football career. Copies of his biography, which is authored by Aaron Putze, a fellow Rotarian from Waukee, were made available. Chuck was generous with his time and offered to personalize copies of his book. Our club extends its sincere thanks to him for our shared time together. DRC members Jeni Grouws and Ward Budweg, with the assistance of Iowa Rotary Youth Exchange Director Elizabeth Daly and other welcome guests of the club, gifted us with insights into the Rotary Youth Exchange Program and provided an update on the local initiative to institute involvement by our club in the Program. 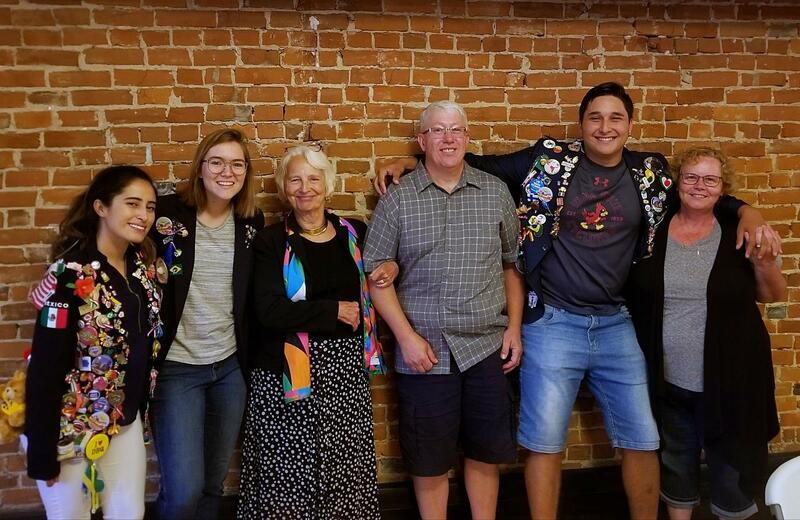 Our guests included a host family from Belle Plaine, Lon and Jody Weber, and several students both inbound and outbound who were able to share their interesting, captivating, and moving personal experiences both as hosts and as current and prospective exchange students. Our club extends its sincere thanks to Jeni and Ward for their energy and leadership of this initiative and to all of the co-presenters who gave our members a new appreciation of the many positive aspects of the Program. 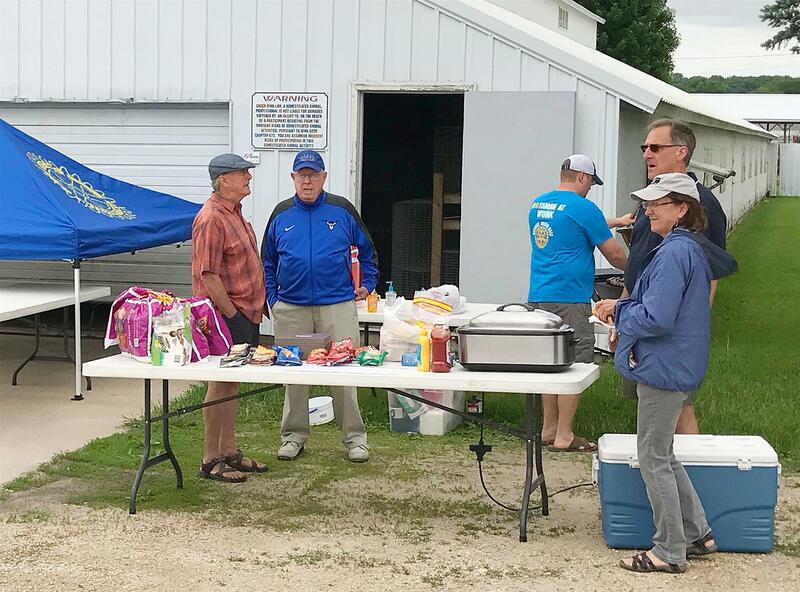 Sincere thanks to all of our dedicated Rotarians who volunteered to cook and serve brats at the local Winneshiek Energy District's Electric Vehicle Fest(EV)al held at the Winneshiek County Fairgrounds on Saturday, June 2nd. Much appreciated! 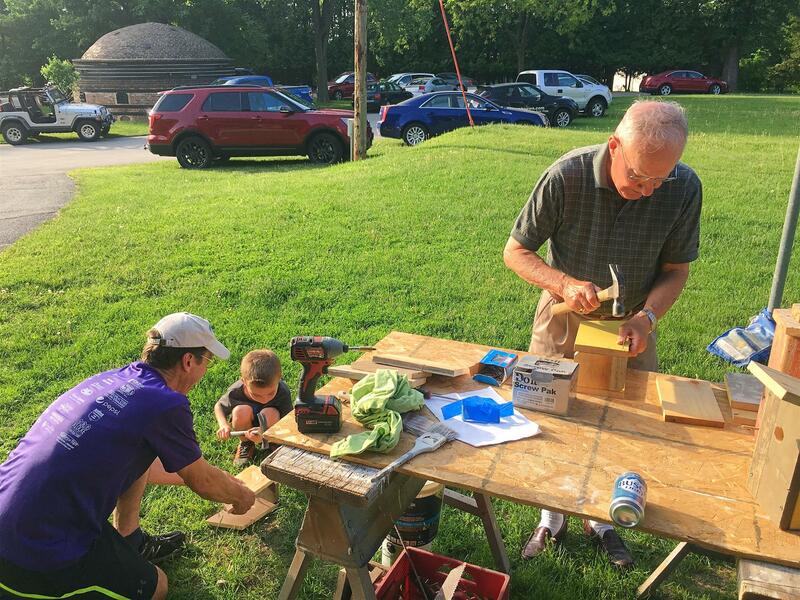 DRC Fifth Tuesday Picnic and Service Project - "Birdhouse Construction"
DRC member John Baker (right) hammers away while DRC member Ward Budweg (left) assists a young future Rotarian with his birdhouse assembly...a great example of intergenerational Decorah Rotary service to the community! 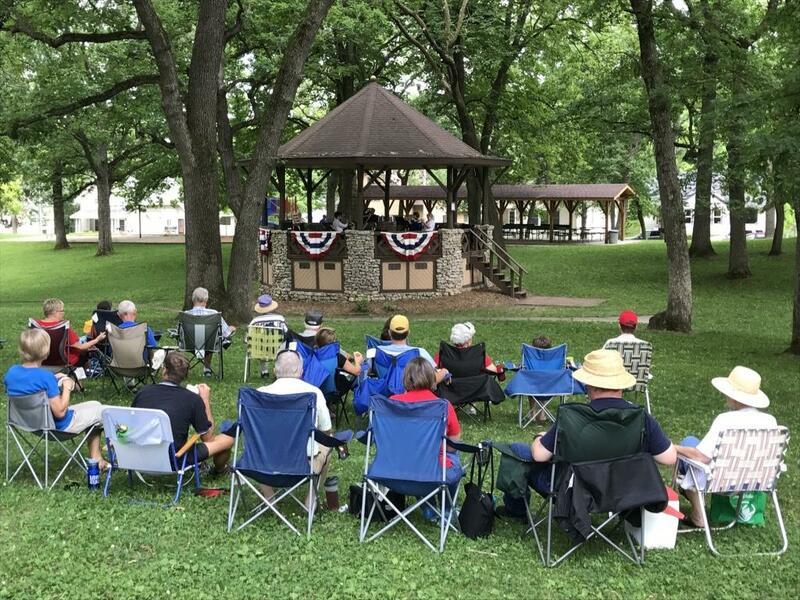 The Decorah Rotary Club combined its traditional "Fifth Tuesday" evening meeting and service project on May 29th with the club's annual picnic, hosted at Whalen Cabin in Decorah's Phelps Park. This particular service project consisted of the construction of birdhouses, some of which were given to children in attendance and the remainder provided by DRC member Samantha Scholtes to Mosaic of Northern Iowa for distribution to homes under their auspices in the communities of Decorah and Waukon. Special thanks to the following DRC members: Ward Budweg for leading the birdhouse logistical preparations and donating supplies, and Shannon Duncan for sizing and cutting the wood. Thanks also to DRC members Uwe Rudolph and Joe Hammel for their lumber donations, John Anderson for the hamburgers, Matt Burkey for his grilling skills, Jon Christy for setting up the dining area, Jerry Aulwes for the beer sampling and Mike Haluska for the wine tasting. Thanks also to everyone who brought delicious side items to share, and to all the folks who came out and joined us for this fun event. Our club was blessed with superb spring weather for the first Rotary Roadside Clean-Up Day of 2018. 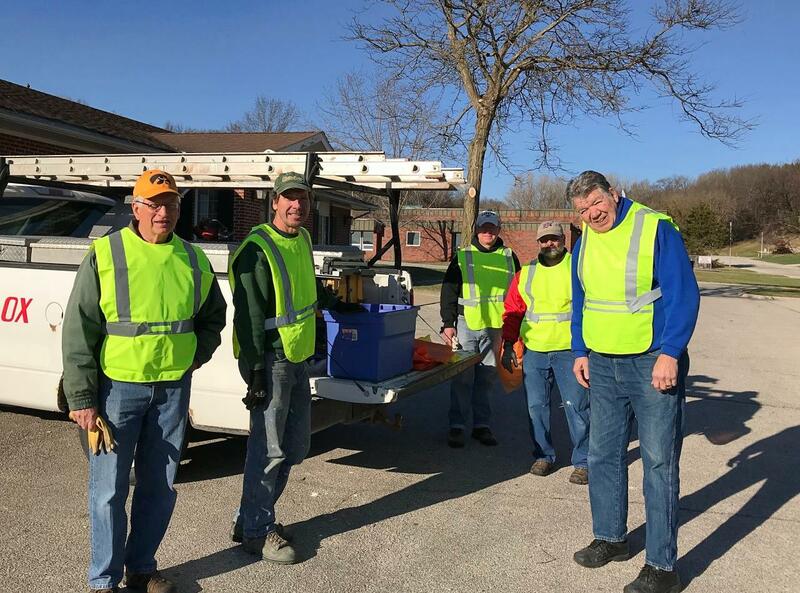 Thanks to all of the volunteers who dedicated their time to help keep Decorah beautiful: Ward Budweg, Kent Klocke, Maury Lenz, Gary Mineart, Jim Morrow, Uwe Rudolph, and Paul Scott. Special thanks to Ward for organizing our participation. The average University of Northern Iowa (UNI) student now leaves college with just over $22,000 in debt. While that's still a large sum of money, it's $4,000 lower than the figure from ten years ago and $10,000 lower than the national average. 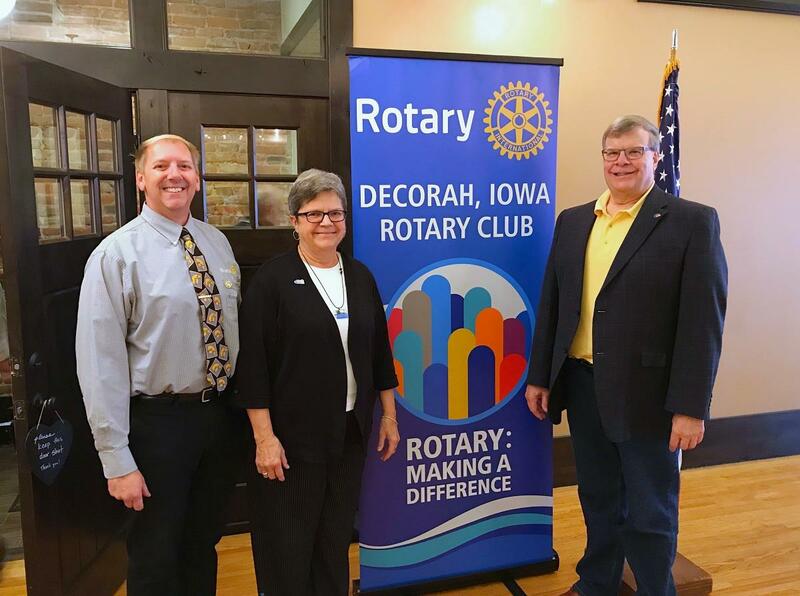 UNI President Mark Nook spoke Tuesday, April 3rd, to a meeting of the Decorah Rotary Club. He gave much of the credit for the lower student debt among UNI graduates to a program at UNI called "Live Like a Student." UNI students are given a free, three-week non-credit course that includes financial planning that helps them examine their spending habits. The school also requires students who take out a private loan to meet one-on-one with a financial counselor about their expenses and financial aid package. Nook says financial literacy is an important skill for college students to have. He calls "Live Like a Student" a "remarkable program" that is now drawing national attention. The Decorah Community School District Foundation has announced the names of students awarded scholarships sponsored by the Decorah Rotary Club. Our scholarship awardees for 2018 are Rachel Hines, Maggy Hovden, Sarah Mikkelson, and Kaitlyn Nimrod. Congratulations to our students! The formal awards presentation will be held on Wednesday, May 9th at 7:00 pm in the Decorah High School Auditorium. 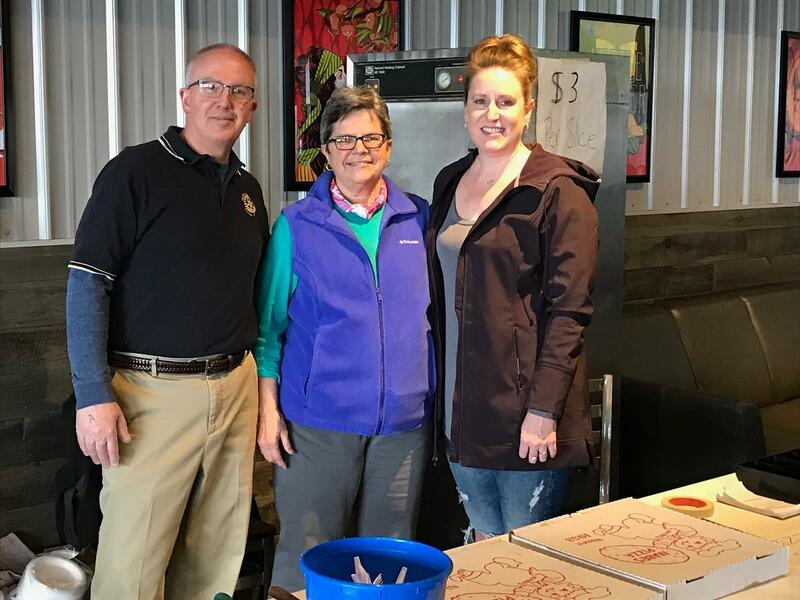 Our club recently collaborated with Mabe's Pizza in a local fundraiser, serving pizza at a major release event being hosted by Toppling Goliath Brewery at their new facility in Decorah. The event attracted more than two-thousand "beer tourists" from the upper Midwest, across the country, and around the world. Our thanks to DRC pizza service volunteers Don Arendt, John Baker, Chad Bird, Lorraine Borowski, Collyn Bridges, Robert Dahl, Shannon Duncan, Roger Huinker, Gary Mineart, John Moeller, Uwe Rudolph, Ron Taylor, and Jeff & Christy Tomlinson. Special thanks to DRC member Kelly Reagan and Mabe's Pizza owner Steve White for all of their planning and logistical support. 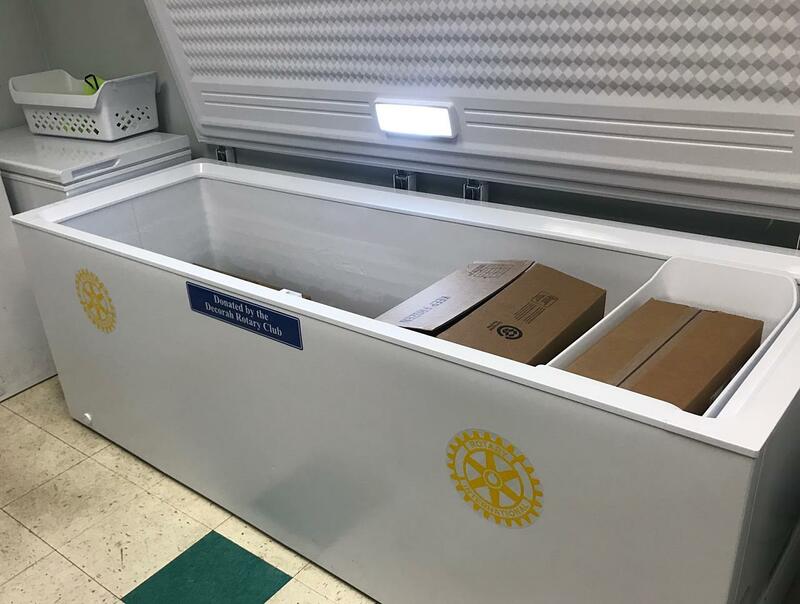 The Decorah Community Food Pantry has procured a new freezer, facilitated by a $500 grant from the Decorah Rotary Club. A faith-based ministry serving northeast Iowa since 1996, the Decorah Community Food Pantry provides food, personal care, and household supplies to individuals and families in need. It has recently transitioned from a committee-based effort to an independent 501(c)3 organization with a governing board comprised of representatives from 16 congregations in the Decorah area. Both on-line and mail-in registration forms are now available for the 2018 Loop de Loop on the Trout Run Trail! Please see the drop-down menu at the top-right of this page. Links to Trout Run Trail maps are also provided. Maps of the precise race routes are under development and will be added when available. There are sizable discounts for early registration. Hope to see you on September 29th! 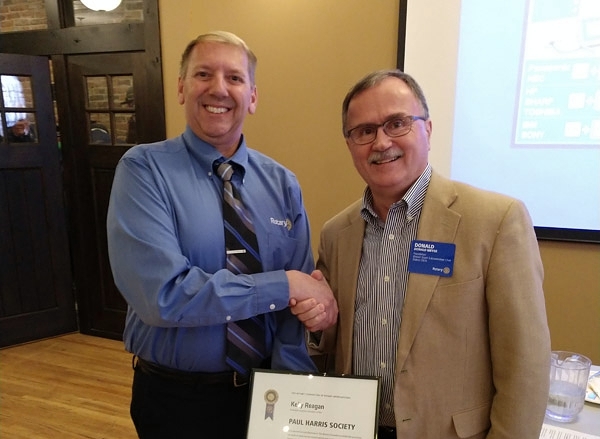 The Rotary Foundation Grant Subcommittee Chair from Rotary District 5970, Mr. Donald Meyer, paid a visit to the Decorah Rotary Club during its February 27 regular meeting. Mr. Meyer used the occasion to recognize DRC member Kelly Reagan as our most recent inductee into the Paul Harris Society. The Paul Harris Society is comprised of Rotarians who have made a commitment to long-term financial support of the Rotary Foundation on an annually recurring basis. DRC Fifth Tuesday Service Project - "Helping Services Supplies"
The Decorah Rotary Club met for its "Fifth Tuesday" evening meeting, supper, and service project at T-Bock's Upstairs on January 30, 2018. The focus for this service project was the collection of household cleaning supplies to be distributed to families in need by the Helping Services for Youth & Families non-profit organization. Club members in attendance also applied labels with Helping Services contact information to coffee cup stock for ultimate use by Impact Coffee for their customers. The club extends its appreciation to DRC members Shannon Duncan and Carson Eggland for their planning and leadership of this project. The Decorah Rotary Club hosted our annual Chili Supper Fundraiser on Friday, January 12th in the Decorah High School cafeteria. For the first time tickets were based on free-will donations rather than a fixed price. Through the generosity of all of the participants, approximately $1,500 in proceeds will be made available to supplement funding for our Club's Scholarship Program. Our sincere thanks to all of the volunteers for their commitments of time and service, and to all of the chili consumers for their appetites! 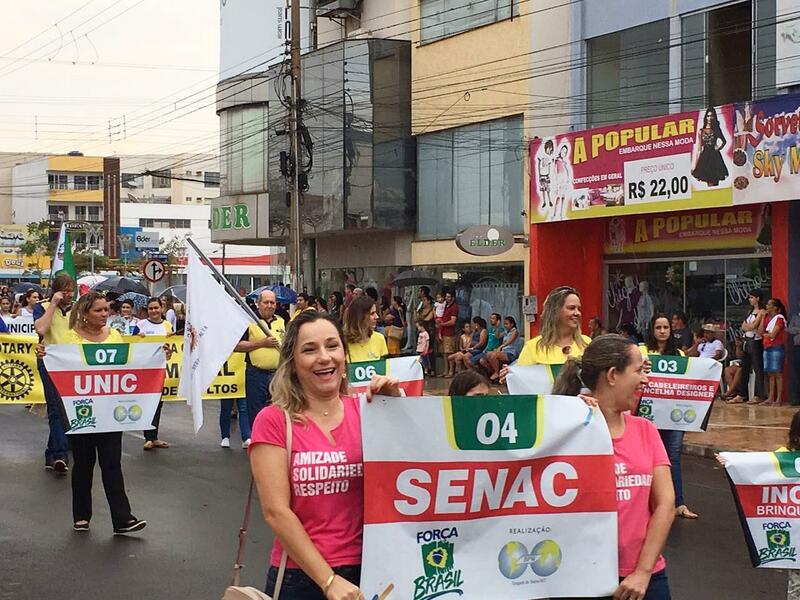 We want you to know that since the beginning of this Project, the Rotary Club of Tangará da Serra “Cidade Alta” has taught more than 4,100 adults. In addition to literacy itself, the Rotary Club of Tangará da Serra Cidade Alta, a partner of the Rotary Club of Decorah, donated ophthalmic consultations and eyeglasses to the people involved in the project with visual difficulties. Each year, at the end of each stage of the project, we held a festive meeting to deliver literacy certificates to students who finished the course and who actually learned to read and write. It is a very beautiful and exciting party, attended by a governor or a representative of the governor of the Rotary District and other authorities. At this great party the Rotary Club offers a dinner for all literate adults, delivering the certificates, and listening to the exhilarating testimonials of many students who have been enlightened. The R.C.T.S "Cidade Alta” provides on this occasion satisfaction of the results of this important partnership between our clubs. We take the opportunity to invite this valiant club to renew our partnership, in the certainty that the resources coming from this partnership are applied with great seriousness and efficiency. Be sure that you, fellow Rotarians, through your club, have participated in one of Rotary International's most important social projects. On behalf of the Rotary Club of Tangará da Serra "Cidade Alta," thank you and thank you very much. Have a very prosperous New Year. A big hug in you all. 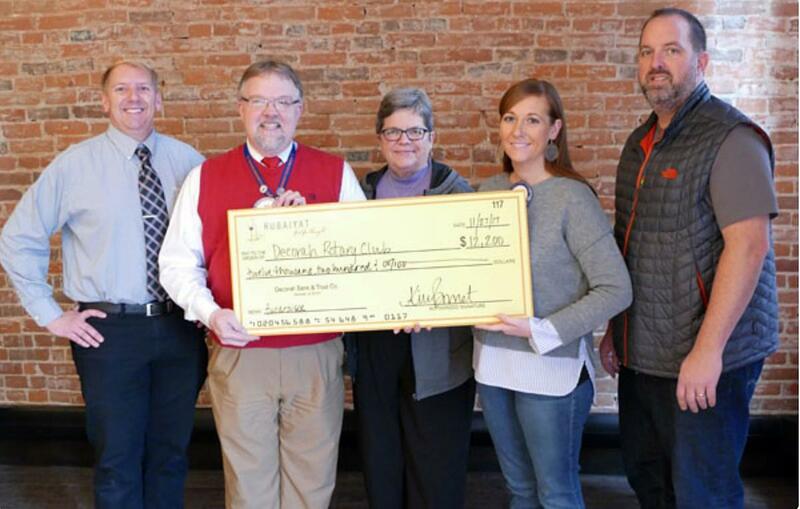 As recently reported in decorahnews.com, Rubaiyat Restaurant owners Kim and Andy Bonnet presented the Decorah Rotary Club with a check for $12,200. The funds represent proceeds from this year's annual Rubaiyat beer and wine sampling fundraiser that also includes heavy hors d'oeuvres and a live auction. The funds raised during each annual event are donated to a local, non-profit organization. 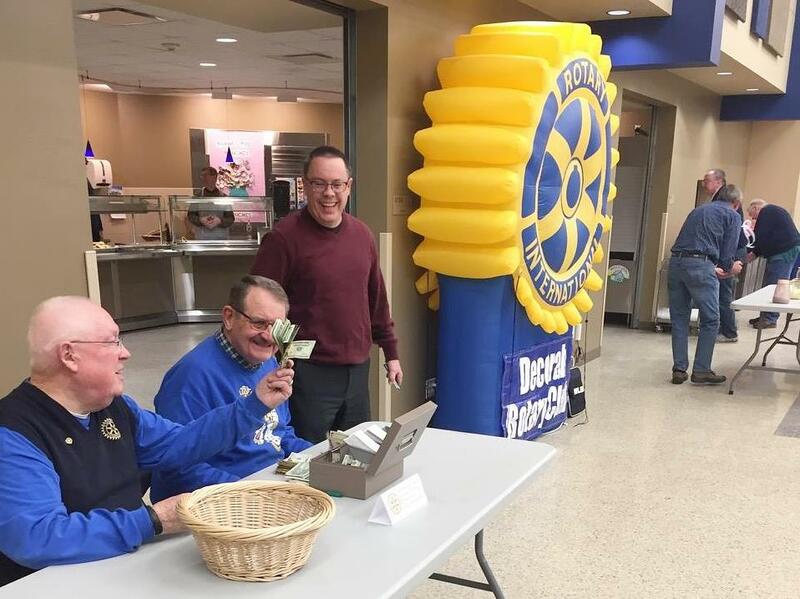 The funds raised this year will be used for a variety of Decorah Rotary Club projects, including support for annual scholarships awarded to graduating Decorah High School students. Our club extends its most sincere appreciation to Kim and Andy for their generous support. This is your opportunity to help Rotary International continue its fight against polio eradication. With just 11 confirmed cases so far in 2017, the world is on the brink of eradicating polio, a vaccine-preventable disease that once paralyzed hundreds of thousands of children each year. Please consider participating in the Decorah Rotary Club's “Dine Out for Polio” event on World Polio Day, designated as next Tuesday October 24. Dine at one of the local participating restaurants that day (Pizza Hut, Pizza Ranch, La Rana, Don Jose, and Magpie) and let them know you are doing it for World Polio Day. Those restaurants have graciously offered to donate towards the cause. Rotary clubs worldwide are hosting events in conjunction with the Fifth Annual World Polio Day celebration. This year, the event will be co-hosted by Rotary International and the Bill & Melinda Gates Foundation and held at the Foundation headquarters in Seattle. The program will feature an update on the global fight to end polio and an array of guest speakers, celebrities, and public health experts. For more information on the many World Polio Day events, please visit https://www.endpolio.org/world-polio-day. The 2017 Loop de Loop is in the books, the hard work paid off and it's time to rest and recover. On behalf of the Decorah Rotary Loop de Loop team, thank you for participating in this year’s 6th annual event. We hope you enjoyed your time in Decorah on September 30th. It turned out to be a beautiful day for being out on the trail. New this year is a finishers video. The video was set up at the finish line and captures each runner as they cross the finish line. Visit www.JMSresults.com for more details. On this website you can also share your finish information via Facebook and Twitter. Thank you very much for supporting our event and here’s to 2018 - see you on the trail. Mange Tusen Takk! 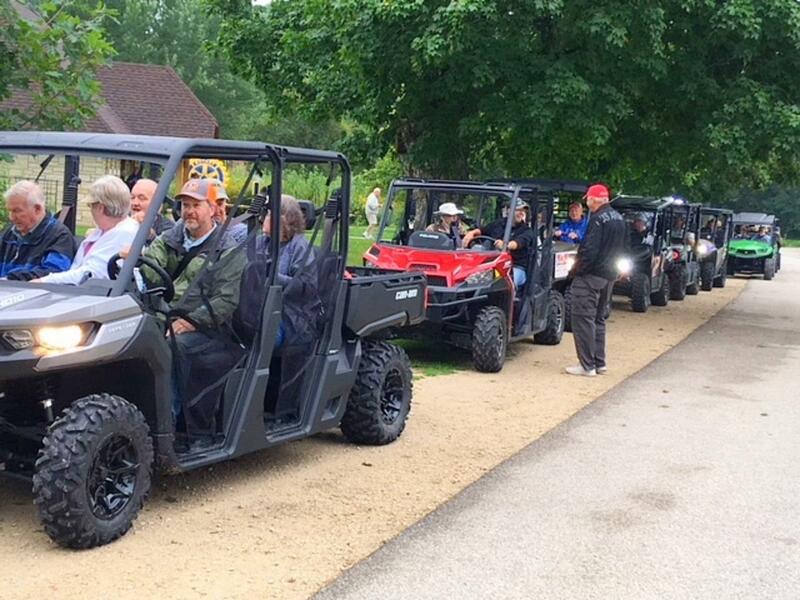 The Decorah Rotary Club hosted the 4th motorized Trout Run Trail Tour Day on Tuesday, August 22nd. Our club sponsors this event in order to provide guided motorized tours of the Trout Run Trail for the elderly and those with disabilities and physical limitations who are otherwise unable to access the trail. 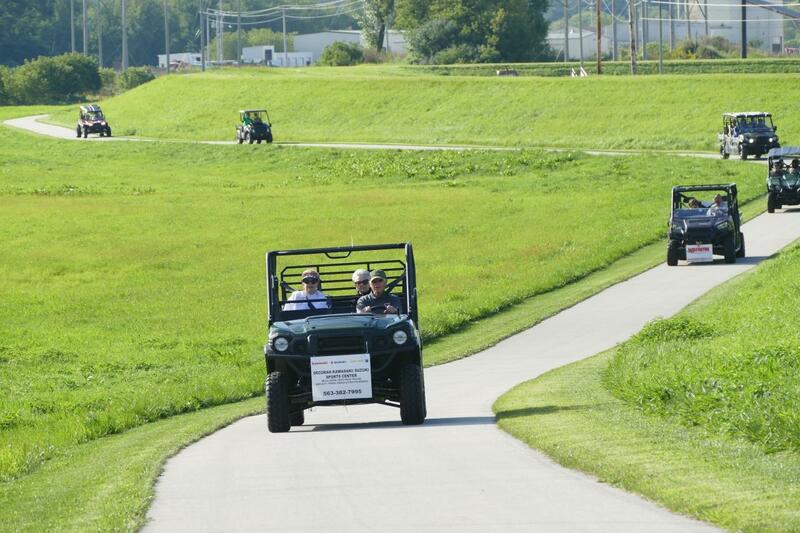 This year, 135 people were able to participate in the motorized trail tours. DRC sincerely thanks all of the volunteers and equipment suppliers who made this event possible. Special thanks to DRC members Mike Huinker and Harlan Satrom for coordinating the motorized vehicles and drivers for the day, and to Francis and Marilyn Peterson for taking all the reservations for the trail tours. Extra special thanks to DRC member Jennifer Gipp, whose vision and energy were integral to making this year's tours such a success. The Decorah Rotary Club has entered the realm of social media. 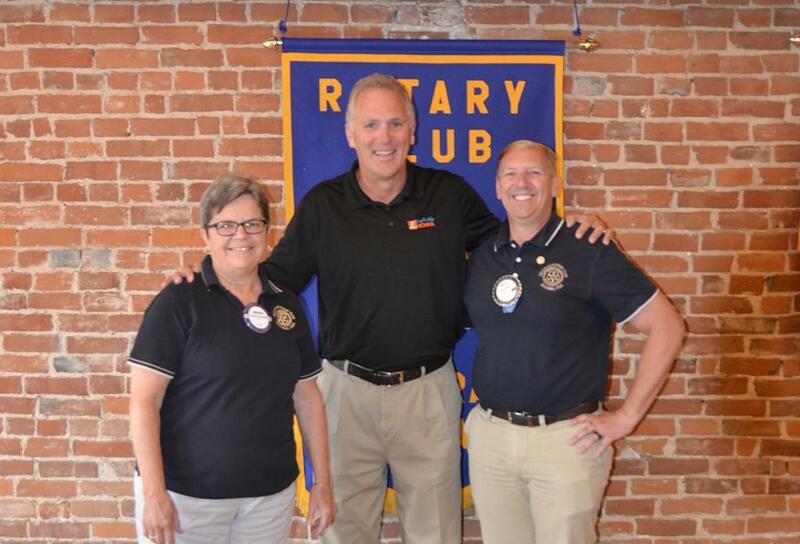 Click on the image above to jump to our new, dedicated Decorah Rotary Club Facebook Page. Make sure you "like" our page so you can keep track of real-time Decorah Rotary news and information. Note we have added a permanent link to the top menu of the home page above for easy access. Thanks to DRC Secretary/Treasurer Kelly Reagan for his efforts in establishing and maintaining our new Facebook Page. Photos from this year's Fourth of July Event conducted at Phelps Park are available in the Photo Albums. Special thanks to DRC member Lorraine Borowski for her planning efforts and serving as master of ceremonies at the event. The 2017 Decorah Rotary Club Trout Run Trail Tours are scheduled for Tuesday, August 22nd. 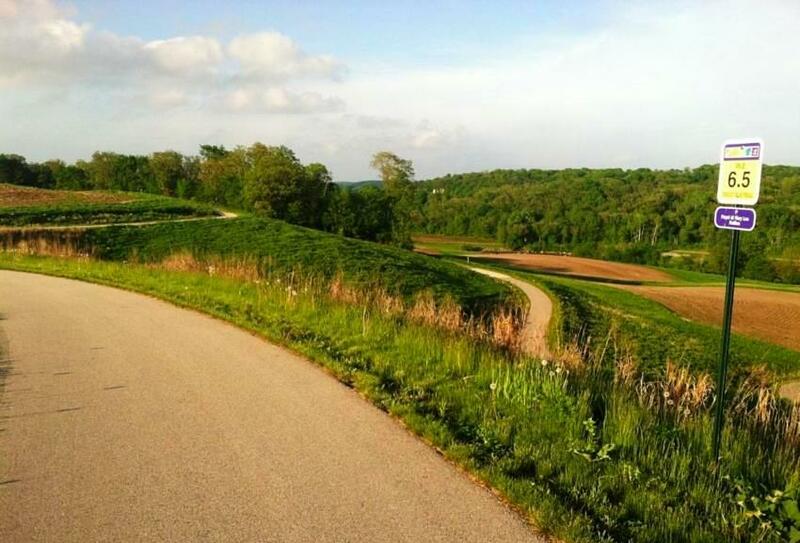 The motorized tours of the trail will once again be accompanied by a Community Picnic Luncheon at the Decorah Trout Hatchery Pavilion from 11:00 AM to 1:00 PM. We will be doing 4 laps and hope to accommodate 35 people per lap. Our goal is to allow 140 people to participate. The laps will be at 8:30 AM, 10:00 AM, 11:30 AM, and 1:00 PM. Reservations will start being accepted on August 8th. Please see the DRC Event Calendar Entry for additional information on the event and directions for making your reservations. 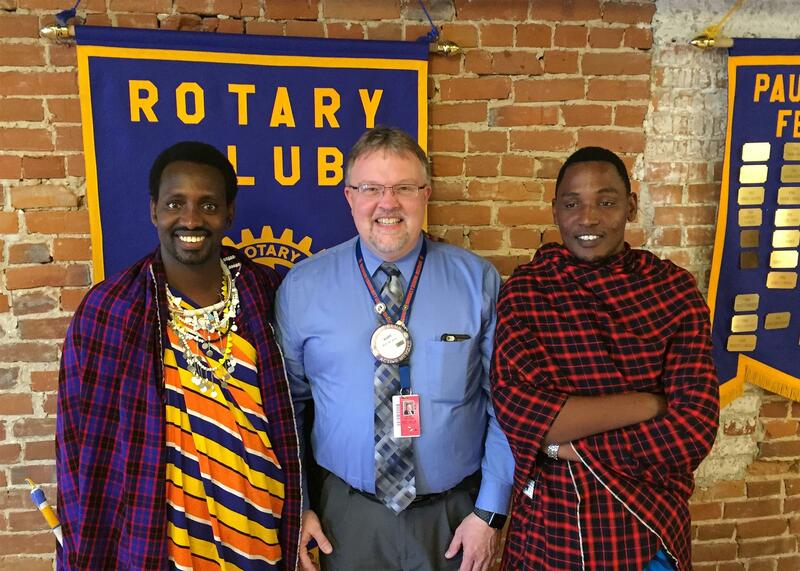 Our Club was honored and privileged to welcome Leboy Oltimbau and Musa Kamaika from Tanzania during our regular meeting on April 18th. The association between Leboy, Musa, and Luther College students and faculty, initiated several years ago, was further cultivated during a recent January Term Paideia trip led by Luther College professor and DRC member John Moeller. We extend our sincere thanks to Leboy and Musa for sharing their personal experiences and for their fascinating and informative insights into the Maasai culture. The Decorah Rotary Club held its Spring Roadside Clean-Up Day on Saturday, April 15th. Thankfully the weather stayed warm and dry throughout the morning facilitating a very successful event with a large volume of litter along IA-9, leftover from the winter months, picked up and bagged. The Club thanks members Cal Anderson, Jim Beghly, Chad Bird, Lorraine Borowski, Ward Budweg, Elliot Christen, Phil Iverson, Gary Mineart, Jim Morrow, and Paul Scott for their volunteer service. A special thanks to Ward for his organization and leadership. DRC Fifth Tuesday Service Project - "Decorah Valentines"
The Decorah Rotary Club met once again for its "Fifth Tuesday" evening meeting, supper, and service project at T-Bock's Upstairs on January 31, 2017. The focus for this service project was the assembly of Valentine's Day gift bags destined for delivery to local Decorah-area businesses in appreciation for the services they provide to the local community. Our members assembled the bags and added personalized notes of appreciation. Many of the folks in attendance took custody of group of the gift bags and offered to make the local deliveries. The club extends its appreciation to DRC members Shannon Duncan and Lorraine Borowski for their planning and leadership of this project. See additional photos of this event using this link: DRC Fifth Tuesday Service Project - "Decorah Valentines"
DRC Fifth Tuesday Service Project - "Operation Give Back"
The Decorah Rotary Club met for its traditional "Fifth Tuesday" evening meeting, supper, and service project at T-Bock's Upstairs on November 29, 2016. The service project for this meeting, expertly organized by DRC member Shannon Duncan, was called "Operation Give Back." The members in attendance assembled care packages containing a variety of comfort foods and items supplied by the members or acquired through dedicated member donations for shipment to enlisted military personnel from the local area who are currently stationed overseas. John Budweg, son of DRC member Ward Budweg and and former active duty U.S. Marine and veteran of two deployments to Iraq comprising over 14 months of duty, delivered a moving personal testimony of the deep gratitude and sense of connection experienced when care packages such as these are received by our deployed soldiers and sailors. We extend our sincere thanks to John and to all of the DRC members who contributed to this project. See additional photos of this event using this link: DRC Fifth Tuesday Service Project - "Operation Give Back"
DRC members Ward Budweg and Darrell Branhagen, assisted by the planning efforts of DRC member Jeff Tomlinson, traveled to Msaranga in Moshi Urban, District of Kilimanjaro in the country of Tanzania, Africa in late August. 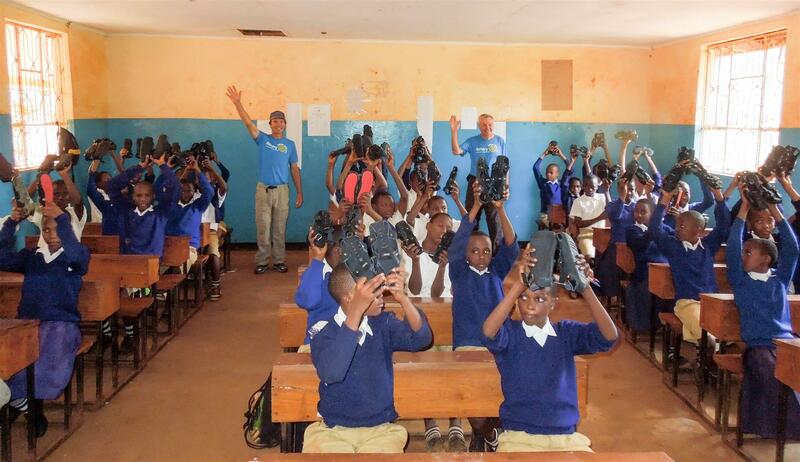 Their trip was the culmination of the DRC service project to deliver expandable sandals and school supplies to the Msaranga Primary School for further distribution to children at several schools in the area. Over 120 pairs of sandals and 100+ pen/pencil sets were delivered to the Headmaster of the Msaranga Primary School, to the deep gratitude of the communities reached in the Moshi area. Thanks to all of the Decorah Rotarians who volunteered their time and talents at the Bratwurst Cookout on Saturday, October 15. This was the inaugural hosting by Pulpit Rock Brewery for this recurring fundraiser, with many new happy patrons served by our group. Thanks again! 140 local residents enjoyed motorized tours of the renowned Trout Run Trail, courtesy of the Decorah Rotary Club's second Trout Run Trail Tour Day held on Tuesday, August 23rd. This event represents the only time motorized vehicles are allowed on the trail. 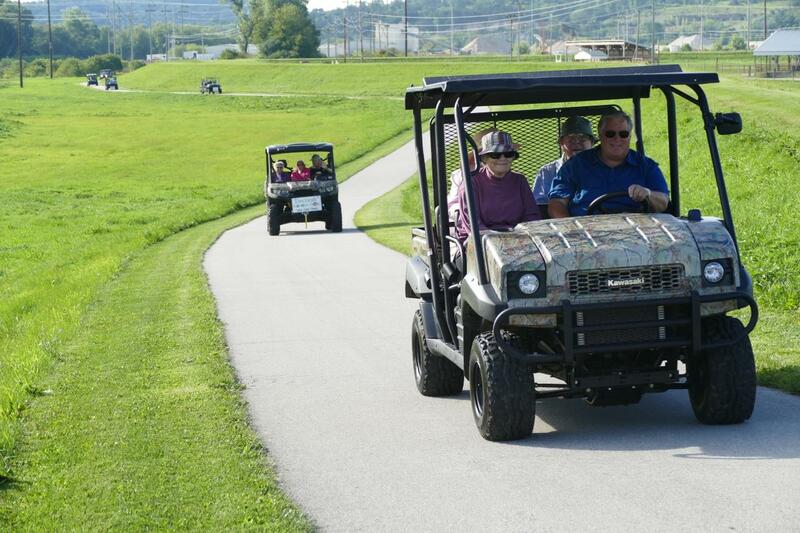 It provided an opportunity for seniors and others with physical limitations to enjoy all of the sights along the trail. The event also included picnic lunch and free helmet and bike bell installations. The club thanks all of the volunteers and sponsors who made this special day possible.